This entry was posted in osde and tagged bugs, developer, faq, forum, issues, ning, questions, suggestions on 31/08/2007 by osde8info. This entry was posted in osde and tagged ning, php, xml on 31/08/2007 by osde8info. GData is a new protocol based on the Atom 1.0 and RSS 2.0 syndication formats. This entry was posted in osde and tagged api, google, google code, video, youtube on 30/08/2007 by osde8info. DELL now offer a new open-source operating system, so you can dive in and truly enjoy a PC experience just the way you want it. 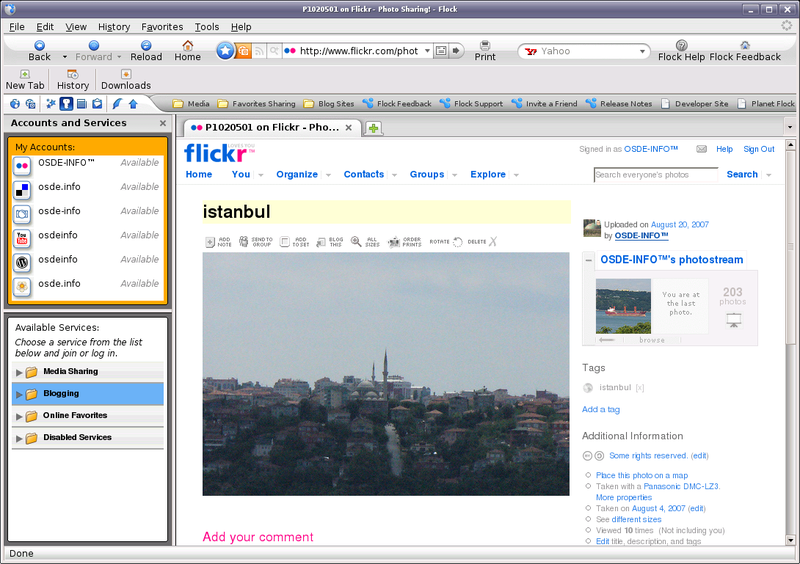 This entry was posted in osde and tagged dell, gnu/linux, open source, ubuntu, ubuntu-uk, uk on 30/08/2007 by osde8info. This entry was posted in osde and tagged crm, evaluation, red hat, software appliance, sugar, sugarcrm, virtual machine, vmware on 29/08/2007 by osde8info. You can even use PHP PEAR php_beautifier without Apache ! This entry was posted in osde and tagged beautification, beautify, code, developer, pear, php, programming, webdev on 28/08/2007 by osde8info. This entry was posted in osde on 28/08/2007 by osde8info. Google Image Labeler is a new feature of Google Image Search that allows you to label random images to help improve the quality of Google's image search results. If you are interested in helping Google improve the relevance of image search results for users like yourself and you have some spare time then why not give it a go ? This entry was posted in osde and tagged fun, game, images, index, labels, photos, search, tags, web 2.0 on 28/08/2007 by osde8info. This entry was posted in osde and tagged flickr, reciprocal, reciprocity, virb on 27/08/2007 by osde8info. Web 3.0 has arrived ! Ning lets you create facebook apps ! Web 3.0 has arrived ! Ning lets you create your own facebook apps with NO CODING REQUIRED ! This entry was posted in osde and tagged application, facebook, flickr, ning, social media network, web 2.0, web 3.0, web mashup, webdev on 27/08/2007 by osde8info.